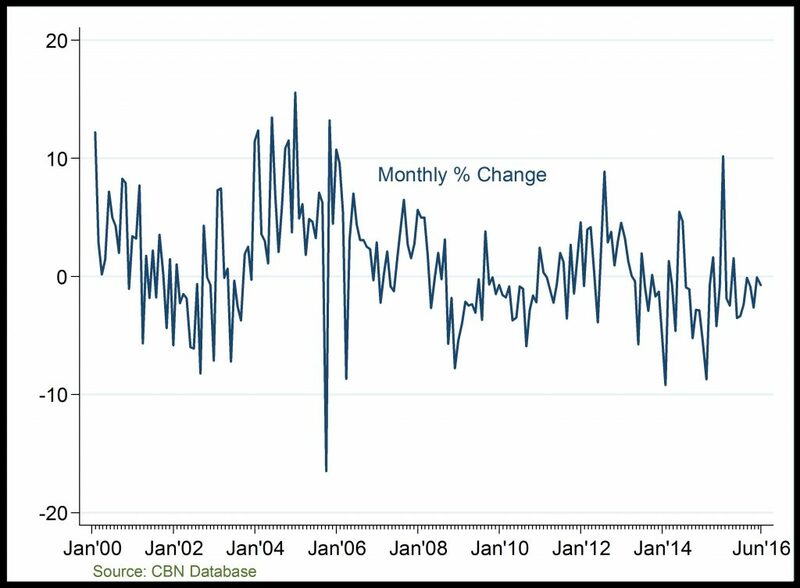 External Reserve: External reserve picked up from its year-2000 level below $10,000 million to above $60,000 million in 2008. 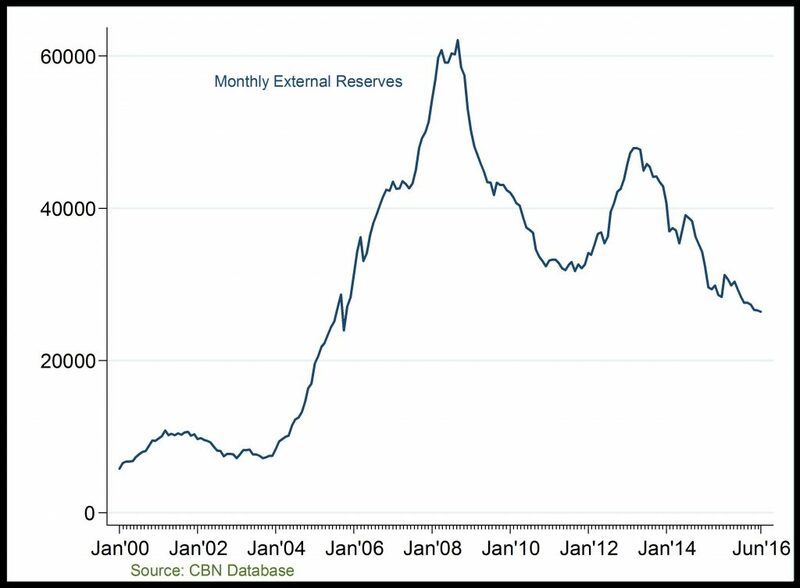 However, the external reserve fell deeply in 2010/11 and even further in 2016. The recent depletion of external reserve can be attributed largely to the low oil price and export given the efforts of the CBN to support the naira.